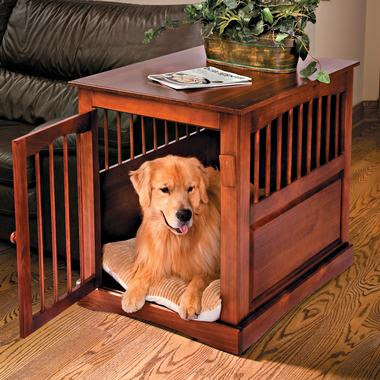 Better-looking crate for the mildly pretentious pup in your life. for some reason that strikes me as being more jail-like than other crates. I love it! Where can I find one? Check out the 'by way of' link under the photo and see if it can point you in the right direction.